The 2019 Animal Welfare Seafront Sunday will be the eighth and takes place on Sunday 26th May. 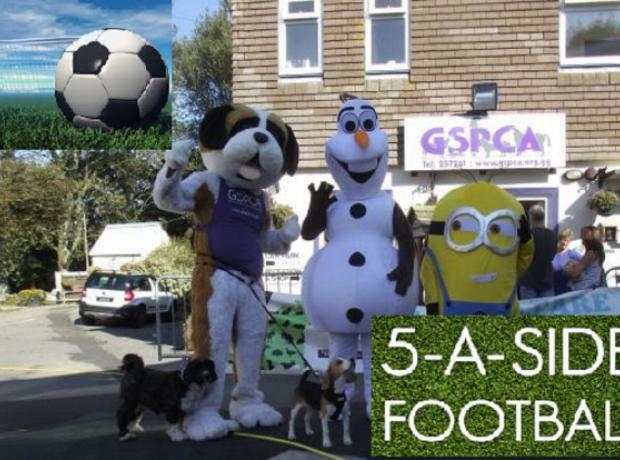 On the 26th May 2019 10am to 4pm the GSPCA will be organising a day to celebrate the animals in Guernsey and all the wonderful work that is done to care for them. We are extremely grateful to all those that made last 7 years such great days and we are hoping this years will be bigger and better. There will be stalls and fun for all the family - all with an animal theme. On Sunday 20th May the GSPCA celebrated animals in Guernsey with some 7-10,000 visitors to our Animal Welfare Seafront Sunday. It all started at dawn in glorious sunshine and with over 100 stalls and things to do St Peter Port was bustling from first thing. Stall holders and GSPCA team members got to see the Guernsey Ultra race start at 7am while they were putting up their gazebos and preparing for what was without doubt the biggest event of 2018 and one of, if not the best ever Animal Welfare Seafront Sundays in our 7 year history of running them. With so much going on this Sunday in St Peter Port please make sure its in your diary to come down and celebrate animals in Guernsey. This is our seventh Animal Welfare Seafront Sunday and we are all very busy with preparations here at the GSPCA. With 2 cruise liners visiting with a combined possible 3100 visitors off the Serenissima and Prinsendam it is set to be a busy day on the 20th May. With so much going on this Sunday in St Peter Port please make sure its in your diaryto come down and celebrate animals in Guernsey. There will be a dog show starting at 12.30 with registration from 11am. This is a fun dog show and is open to any breed of dog. It will take place on the Crown Pier ahead of the children’s fancy dress at 145pm and then the Giant Animal Mascot 5-a-side which takes place at 2pm. 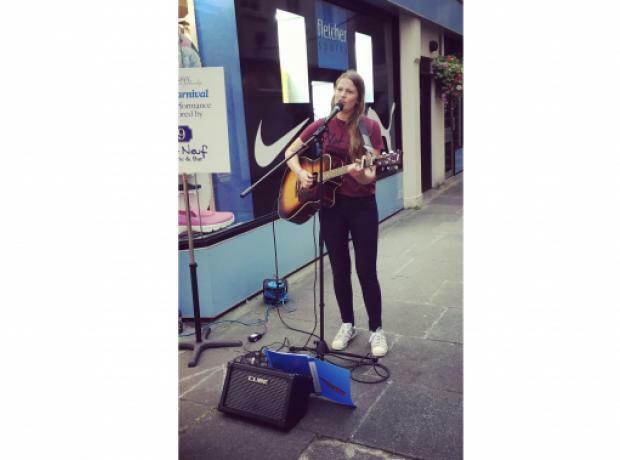 You may have seen Erin Vaudin busk in town and she has just turned 14 and is supporting our big day to celebrate animals in Guernsey. 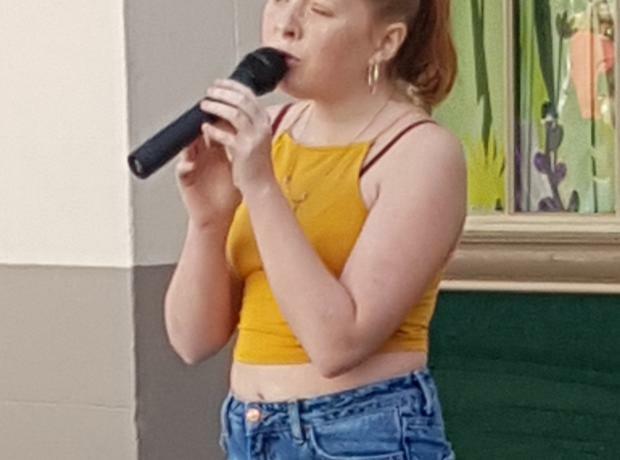 We asked Erin was her favourite animal is and she said it is the ‘capybara’ and some of the songs she likes singing are ‘Half The World Away’, ‘See You Again’ and ‘Riptide’. Erin has volunteered at the Animal Shelter and we are looking forward to her joining in the BIGGEST day in our calendar. With less than 2 weeks to the seventh Animal Welfare Seafront Sunday we are all very busy with preparations here at the GSPCA. The 2018 Animal Welfare Seafront Sunday will be the seventh and takes place on Sunday 20th May. On the 20th May 2018 10am to 4pm the GSPCA will be organising a day to celebrate the animals in Guernsey and all the wonderful work that is done to care for them. We are extremely grateful to all those that made last 6 years such great days and we are hoping this years will be bigger and better. The 2017 Animal Welfare Seafront Sunday will be the sixth and takes on Sunday 28th May. On the 28th May 2017 10am to 4pm the GSPCA will be organising a day to celebrate the animals in Guernsey and all the wonderful work that is done to care for them.